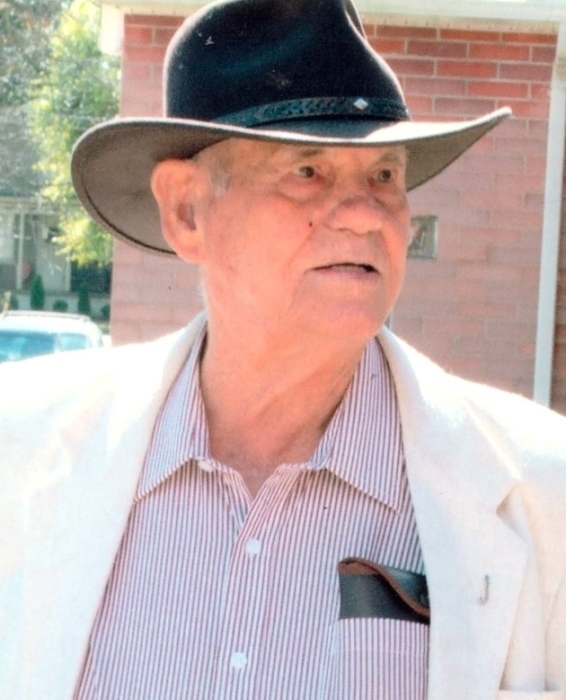 Sherman Benjamin Killion, age 87 of Petersburg, went home to be with the Lord on Monday April 1, 2019. Sherman was born May 9, 1931 in Harlingen, TX to the late Hubert and Laura (Duncan) Killion. Sherman married Ruby Jewell Killion, who predeceased him in November of 1998. On June 19, 1999 Sherman married Brenda Bomia in Tazewell, TN. Sherman proudly served his country in the National Guard before starting his career at Ford Motor Company as a die setter, retiring in 1991. Sherman was a former member of Bellevue Missionary Baptist Church and current member of Union Street Missionary Baptist Church. To cherish his memory, Sherman leaves his loving wife, Brenda; six daughters: Ruby Sue (Leo) Carnicom, Rita Killion, Brenda (Patrick) Robertson, Joyce (Randy) Dennis, Karen Rosenberger, and Judy (Dave) Weaver; two sisters: Wanda Lowery and Ruth Minton; twelve grandchildren; thirteen great grandchildren; three step grandchildren; eight step great grandchildren; and his loving, loyal, and faithful companion, Duke. In addition to his parents and first wife, Sherman was predeceased by his daughter, Gloria Renee Killion; step daughter, Vaughn Bomia; grandchild, Heather Burkhart; great grandchild, Elijah Parks; his brother, Fay Killion; and six sisters: Hazel, Florence, Bertha, Mossie, Cecil, and Grace. Family and friends may visit Thursday April 4, 2019 from 3pm-8pm at Rupp Funeral Home (2345 S. Custer Rd Monroe, MI). Visitation will also be at Foos Funeral Home and Cremation Service (504 E. McPherson Hwy Clyde, OH) on Saturday April 6, 2019 from 11am-1pm, where a service will be held at 1pm, Rev. Joe Bryant and Rev. Ronald Atkins will officiate. Burial will immediately follow at Greenlawn Memory Gardens, Clyde. Anyone wishing to make a memorial contribution in Sherman’s honor are asked to please consider Union Street Missionary Baptist Church or Hospice of Northwest Ohio.